Dharamsala is a quaint hill-station situated in the picturesque Kangra valley in Himachal, set against an enticing background of Dhauladhar range. Most famous as the house of the exiled Dalai Lama, Dharamsala has deep Tibetan roots that stretch right back to the 8th century. Dharamsala is divided into two distinct parts – Lower Dharamsala, which consists mainly of local government buildings, a hospital, commercial ventures and sleepy town houses. Upper Dharamsala, or Mcleod Ganj is where the action really is. 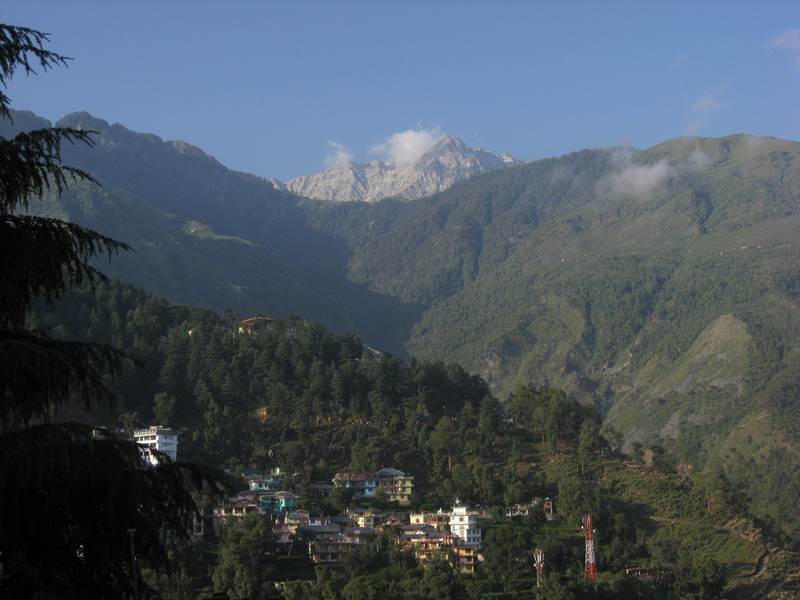 Separated from Lower Dharamsala by a coniferous forest of stately Deodhars, McLeod Ganj is the abode of His Holiness – The Lama as well as the exiled Tibetan Government. 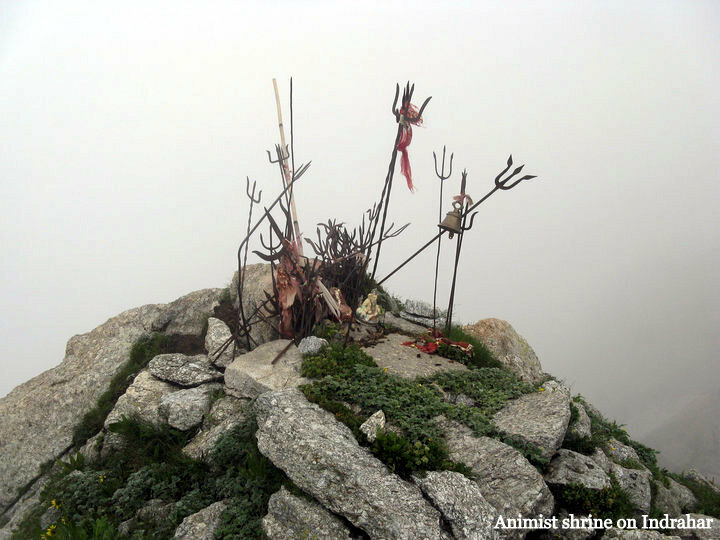 Dharamsala has rapidly become a hot-spot for two kinds of travelers – those seeking spiritual solace in the presence of the Honorable Lama and others that have arrived to re-kindle a long extinguished hippie spark. McLeod Ganj is thronged with tourists, many of them hippies that will tell you they have come here in search of peace & serenity. If I were you, I’d steer clear of this lot for most times, though some of them might just have an interesting tale or two to share. Climate: Temperatures hover between 20-30°C between April – June; definitely pleasant by Indian standards. Culture & History: Dharamsala has a wealth of historic & cultural riches. 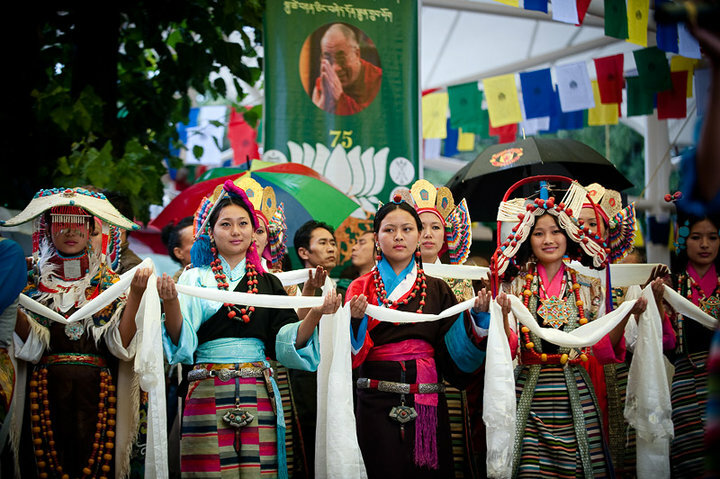 The Tibetan culture is one of the most exotic cultures around the world – one based upon simplicity and freedom more than anything else. If art, culture and history entices you, visit the Tibet Museum, Tibetan Library and especially the Tibetian Institute for Performing Arts. Also visit the Monastery and the Children’s Village for some really humbling experiences. 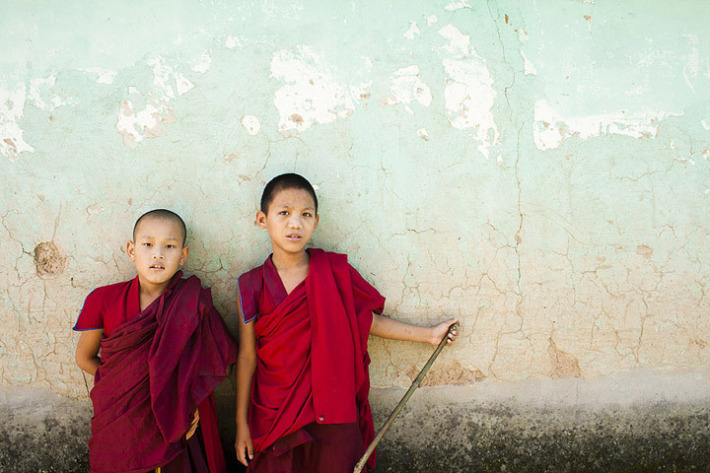 Here’s a link to some really amazing pictures from the monastery & the Children’s Village shot by Ankur Aras – Dharamsala | McLeod Ganj | Dolanji. 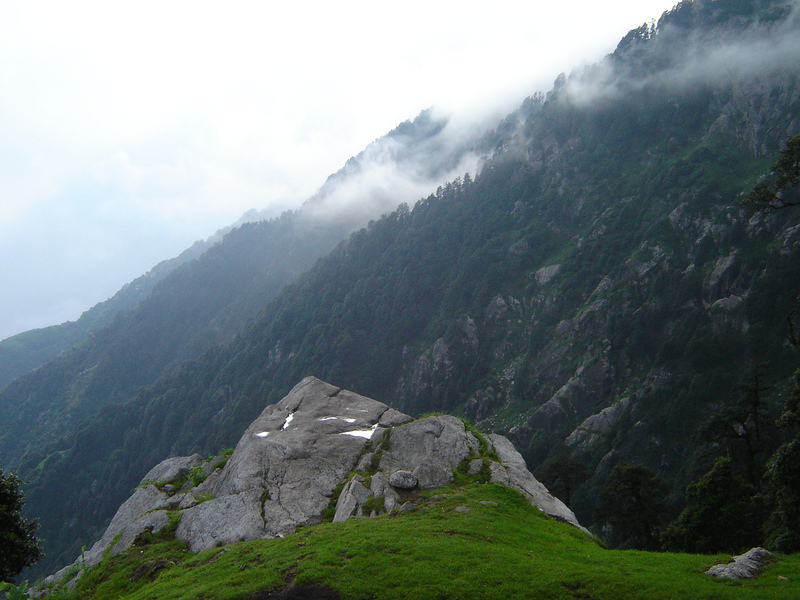 The Great Outdoors: Dharamsala offers some really easy to moderate trails for the amateur hiker. Venture out for Bhagsu Waterfall – 4 km from Dharamsala and an easy walk past Bhagsu Village for a nice dip in icy cold water. Then there’s the Indrahar pass trail for the more adventurous trekkers – this one’s a rather challenging trek which can consume up to 16 hours – the Indrahar pass can also be extended for longer challenging treks to Kuarsi-Lamu-Donali or Kareri. Another major outdoor attraction at Dharamsala is Paragliding. 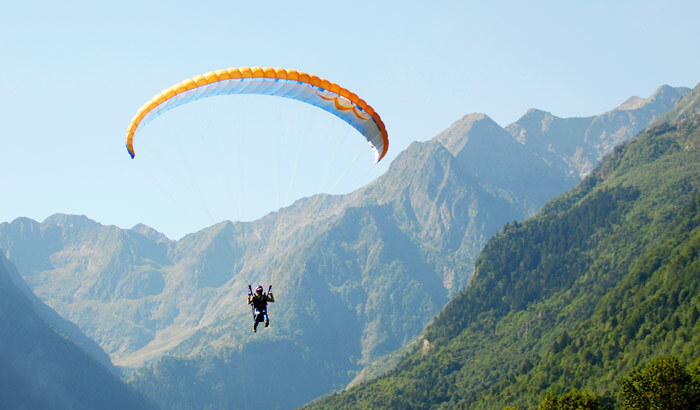 The Dharamsala Flying Club offers plenty of packages for camping, hiking, treks, fishing alongside paragliding, handgliding tours as well as courses to master the sport on your own. Spirituality: You may or may not be spiritual in nature, but if you ever get the chance, do try your best to converse with a handful of Tibetan monks. There’s so much to learn and so many thoughts to exchange with people who’s actions are driven by the simplest of motivations. If you bag the privilege of an audience with His Holiness himself, consider yourself one of the luckiest people in the world for the self-proclaimed last Lama is rather picky with granting audiences lately. To wind this up, Dharamsala is a tiny world on it’s own within the vast diversity of India. It’s populace is made up of several nationalities, several cultures – there’s the Tibetians, the heavy presence of Israeli jews, constant influx of hippies from all parts of the world seeking god-alone-knows-what; all of which makes this place a really interesting place to visit in a hot, painful summer yeah? I’ve never been to India… not yet anyways. These places sure are exotic and enticing. Thanks for sharing. I also have not been to India. Must go one day. I imagine India being stifling in summer but the climate must be as varied as most other large countries. All of these look like amazing places to visit, I’ve only experience the “corporate India”, literally, as I’ve been there only through work and only in the cities. And I have to say as a Finn living in Norway this made me chuckle – “20-30°C between April – June; definitely pleasant by Indian standards” 🙂 That would be a heatwave here!! I’ve never been to India, but I really want to go. It seems so fascinating and full of culture and history, though I’ll have to be sure not to go in the middle of summer. Thanks for sharing. Amazing tips on some wonderful destinations! Loved Dharamsala, so peaceful. Good info. Andamans are beautiful, but the place is little humid in summer season. It is best visited in Nov-Dec.